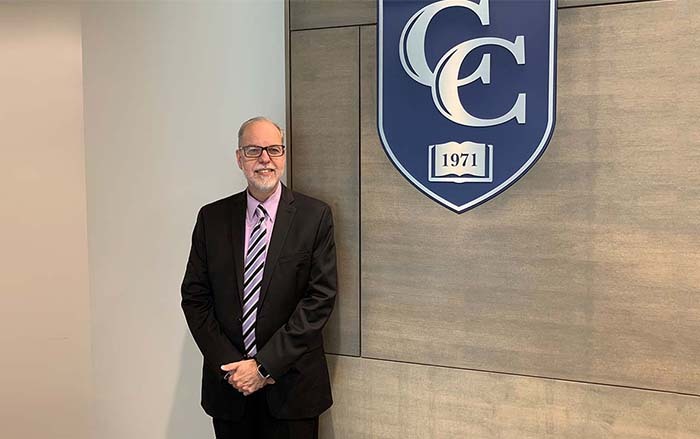 We are delighted to announce that Dr. Michael Marrapodi has joined the College community as Dean of Online Programming in the Office of Academic Affairs. For the past 14 years, Dr. Marrapodi has served as a faculty member in graduate divisions of several colleges and universities. Most recently, he served as a Core Faculty in Research for Walden University and prior to that, Dean of Online Learning and Institutional Affairs at Quincy College. For 20 years, he has held senior leadership positions at private schools and functioned as a catalyst, visionary, and change agent. Program expansion, enrollment increases, and financial stability were achieved in each setting. He excelled at problem identification and the creation of collaborative solutions. He has a vision that the future holds unlimited opportunities to make meaningful contributions through new and challenging leadership roles. Dr. Marrapodi holds an Ed.D. in Educational Leadership from Johnson & Wales University; an M.Ed. in Music Education from the College of New Jersey; and a B.A. in Sacred Music from Northeastern Bible College. We are pleased to have Dr. Marrapodi join us at Cambridge College!